Stretch marks are not fun! So what can we do about it? Shea butter and cocoa butter are both leading ingredients in products that claim to work on stretch marks. But do they both work? Which one is better? In this article, we compare Cocoa butter vs Shea butter for stretch marks to reveal which one is best! There are many different types of lotions, essential oils, and creams that claim to reduce the appearance and the occurrence of stretch marks, but how many of them actually work? If you’ve been looking for a solution when it comes to stretch marks, then you’ve more than likely come across these two ingredients: Shea butter and Cocoa butter. Do cocoa butter and Shea butter really help with stretch marks? We have the answers in this article. First we'll discuss Shea butter and whether it's good for stretch marks! Hint: It is! Shea butter is the fat that is extracted from the seed of the Shea nut. This butter has been used in Africa for generations in order to keep the skin supple and protected from the harsh rays of the sun. A study by the American Journal of Life Sciences found that Shea butter promotes collagen production. This gives shea butter some great anti-aging properties. Naturally rich in vitamins A, E and F, Shea butter is one of the most effective ingredients to use on the skin. Vitamin A helps to improve lots of different skin conditions, including wrinkles and blemishes. This is why Shea butter is the #1 ingredient choice for the majority of skin products. Vitamin E also has its own restorative and healing properties. It's known for the revitalization of skin cells which helps to reduce the appearance of scar tissue (including stretch marks). 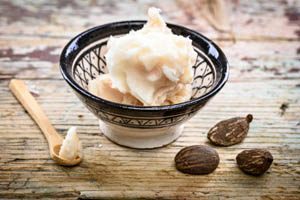 According to The National Center for Biotechnology Information, Shea butter is also a great source for anti﻿-inflammatory and anti-tumor compounds. In addition to this, the unparalleled moisturizing properties are the same as those naturally produced by our own sebaceous glands in the skin. So it’s almost as though you’re replacing your own sebum with a more potent version! Is Shea Butter Good for Stretch Marks? Most likely. There's enough studies that suggest that it does help. However, as with any product, you cannot completely “get rid” of stretch marks. But Shea butter does improve the appearance of them and prevent more from developing. Shea butter is an anti-inflammatory which is very helpful with the healing of newly developed stretch marks. In essence, this helps to diminish the size of the scar that is formed and also lighten its appearance. Let's take a peak at the positive and negatives for using Shea butter for stretch marks. 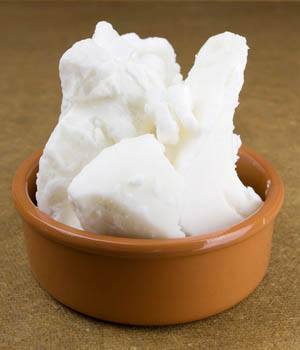 Shea butter is also chock full of fatty acids such as oleic acid, stearic acid, palmitic acid and linoleic acid. Thse acids are beneficial for moisturizing, protecting, and healing the skin. 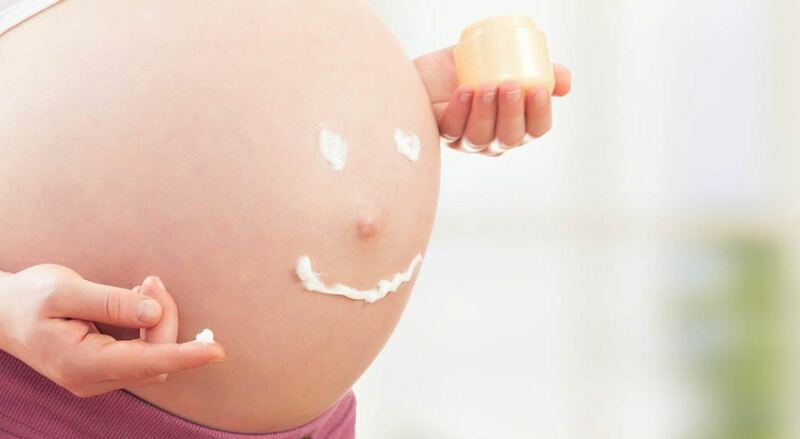 Since it is so moisturizing, it helps reduce the chance of developing stretch marks. It can even diminish the appearance of those that have already developed. Shea butter can also protect against windburn, sunburn and dry, cracked skin. The reason is because it can penetrate deep into the dermis (second layer of skin). Don’t forget about its UV protection abilities with SPF 6 protection! The anti-inflammatory properties of Shea butter fight off yeast and other aggravating bacteria. These bacteria can cause acne, eczema, dermatitis and other skin conditions. In addition, she butter can promote healing, which reduces flare ups and breakouts . Not to mention, it has been shown that this butter promotes anti-tumor compounds which reduce your chances of developing cancer. Last, but not least, Shea butter is safe to use during pregnancy and can be found in numerous skincare products that cater to pregnant women. Since Shea is a tree nut, those with tree nut allergies may have a reaction. Always test a small patch of skin to ensure that it doesn’t cause any breakouts. While there hasn’t been any evidence indicating that Shea butter causes allergic reactions, being aware is always your best bet. Unfortunately, since it is a “fat,” Shea butter does have a shelf life. It can spoil within 2 years after being harvested. Like Cocoa butter, spoiled Shea butter has an “off,” or sour type of smell. When it's still good to use, it has an earthy scent. Shea butter is typically bought in its raw form. If you’re looking to reap all of its wonderful benefits, then it’s definitely preferred that you buy unrefined Shea butter. You can find it either from local vendors or online. You can buy Shea butter in bulk (if you’re really serious). However, you do need to be careful and know what to look for when purchasing it online. You want to look for “Grade A, Unrefined Shea Butter.” You also want to make sure that it is being shipped from a reputable company. That way they'll assist you if there’s a problem. Any Shea butter that you see that is not an ivory color, has had something added to it. Palm oil is a common additive. If you’re more of a lotion lover, then give either The Body Shop’s Shea Body Butter or Palmer’s Shea Butter Formula Cream a try. This soap will not only cleanse your skin and protect you from free radicals, but it will also replenish the moisture and elasticity to your skin and leave you smelling and feeling absolutely amazing. Palmer’s has a Shea Butter soap bar as well which is a few dollars less than the Shea Moisture brand. Shea butter does not need to be softened before it is applied to the skin. This makes it very easy to apply. You should moisturize with Shea butter 3x a day: morning, noon, and night. The best method is to simply massage the butter into your skin. Massaging it not only helps with blood flow. It will also aid the butter in penetrating the skin deeply, which makes it more effective. Now we'll switch over to cocoa butter and whether it's good for stretch marks. Hint: Maybe? 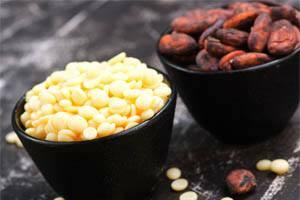 Cocoa butter is the fat that is extracted from the cocoa bean (also known as the cacao bean). Theobroma oil is another term for cocoa butter and is used in both skin care products and chocolates alike. However that doesn’t mean that you should lick yourself after rubbing cocoa butter on your body. Believe me, just stick to chocolate. Cocoa butter is 100% fat, meaning that it contains no proteins or carbohydrates. Although it’s all fat, it doesn’t contain any trans fats. It's also not hydrogenated, making it one of the few natural fats to stay solid at room temperature. Aside from that, cocoa butter also contains Vitamin K, Vitamin E, fatty acids and antioxidants which have all been proven to protect and heal your skin. Cocoa butter contains oleic acid, palmitic acid, and stearic acid. All of these have been shown to reduce the signs of aging and scarring on the skin. 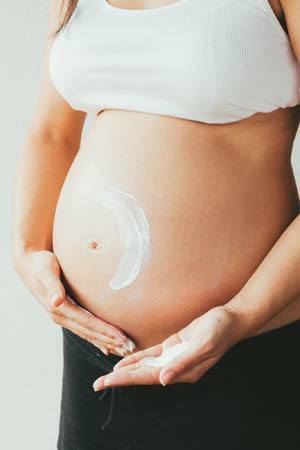 Cocoa butter also reduces inflammation which is important when dealing with stretch marks. Since stretch marks are inflamed and irritated when they first pop up, cocoa butter can help soothe that irritation by moisturizing the skin. In addition to this, cocoa butter is extremely safe to use during pregnancy which is why it’s one of the main products/ingredients marketed to pregnant women. Cocoa butter isn’t soft in texture initially, making it difficult to spread. The key is to warm it slightly or heat it up with your hands before applying. Although cocoa butter is very beneficial to skin health and healing, it does not offer UV protection. In addition, it may actually increase the possibility of burning while exposed to too much UV rays. Also, since it derives from a tree nut, those with tree nut allergies may have a reaction. Always test a small patch of skin to ensure that it doesn’t cause any breakouts. While there hasn’t been any evidence indicating that cocoa butter causes allergic reactions, being aware is always your best bet. Unfortunately, since it is a “fat,” cocoa butter does have a shelf life and can spoil within 2-3 years after being harvested. Spoiled cocoa butter has an “off” smell to it which is clearly discernible from its usual slight chocolate scent. According to various testimonies of mommies all over the country, cocoa butter has diminished the appearance of their stretch marks. In addition, some mommies swear it even reduced the amount of stretch marks that they developed during their pregnancies. However, a study in 2008 found no significant difference between women who used a cocoa butter lotion and those who used a placebo. Yikes. While this study proves that cocoa butter lotions aren’t as effective, there have not been any conclusive studies on using raw cocoa butter on the body in order to prevent and treat stretch marks. Is cocoa butter good for stretch marks or not!? You'll have to be the judge. The study above doesn’t acknowledge the percentage of cocoa butter that the lotion contained. The percentage is an important part of proving/disproving cocoa butter’s effectiveness. Ultimately, does cocoa butter remove stretch marks? Nothing can remove stretch marks completely. Try cocoa butter for yourself and see what results you get! Now let's discuss some options for the best cocoa butter for pregnancy stretch marks. Palmer’s is, of course, the most recognizable cocoa butter product for women. So much so that they recently developed a line of products that specifically cater to pregnant women. These products range from tummy butter, massage cream, oils that soothe itchiness, bust cream and even products for baby! CocoaCare is another popular brand that features tubes of 100% Raw Cocoa Butter which is a perfect (and cheap) option for women who are interested in seeing how well the cocoa butter works on its own. CocoaCare does have a line of cocoa butter lotions and creams, but the raw butter stick is probably your best bet if you’re looking for the most authentic butter for a reasonable price. When it comes to keeping the skin moisturized, the job doesn’t solely rely on the lotion you use. 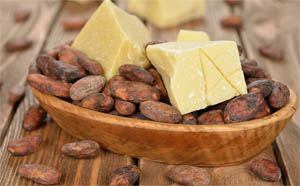 Soaps that feature the moisturizing, protective properties of cocoa butter should definitely be used as well! Our skin loses the most moisture during the washing process since the majority of soaps are drying and harsh to the skin. This actually makes the skin more prone to developing stretch marks since they typically form on skin that isn’t properly moisturized enough to withstand the rapid rate of stretching. Let's take a look at some of the best cocoa butter brands. Palmer’s (not surprisingly) is the best soap brand with cocoa butter, so if you’re a stickler for using 1 brand at a time, then Palmer’s definitely has you covered! If you’re using a cocoa butter lotion, it’s best to apply it at least 3x a day: in the morning, afternoon and night. You can even massage your belly using the lotion in order for it to penetrate deeply and stimulate blood flow. This helps ensure hat the skin is given the nutrients and moisture it needs to maintain its elasticity and prevent tearing (stretch marks). If you’re using raw cocoa butter, the same regimen applies. You just have to warm the butter thoroughly before applying. It’s fine to just break off a small chunk of the butter and rub it between your hands, but you can also soften it by warming it up. A lot of women have used cocoa butter for pregnancy stretch marks. While studies have mixed results, you can try it for yourself and see what results you get. Is Cocoa Butter Good for Your Face Too? This is another controversial question. Some women say cocoa butter is "too heavy" for the face skin, but others say it's really helped with dryness and acne. The key is to test it for yourself. Start with a small area on your face before using it all over your face. First thing’s first, DO NOT microwave or melt the butter on the stove. Doing so will kill all the properties that you need to help ward off those stretch marks! Using a medium-sized bowl, microwave about 2 cups of water for 1 minute. Break off a decent sized chunk of cocoa butter, place it into a small bowl, then place the bowl into the bowl of water. Don’t submerge it. If it floats, just let it float. Next, let it soften while you’re in the shower. Once you’re finished in the shower, the butter should be soft enough for you to spread without any hassle or grit. So when it comes to cocoa butter vs. Shea butter, it’s safe to say that Shea butter wins. However, don't rule cocoa butter out. Both ingredients have been shown to reduce the risk of developing stretch marks. And both also improve the appearance of the marks you already have.